Another Friday means another collection of free games, and this week we've got two original twists on platformers and one of the best-looking games you've ever played in your browser. Recursion is a fun puzzle platformer with a twist at the edges of the screen. Stages repeat both horizontally and vertically, so when your character runs off the right side of the screen he shows back up on the left and when he falls through the bottom he falls right back down from the top. While the mechanic is simple, Recursion manages to make a number of interesting and difficult platforming puzzles with it. Aether is a platformer and a Missile Command-style game in one. Aliens are invading and you have to make it to your secret weapon in time to stop them. Left unattended, the aliens will rain deadly attacks on you from above that make it impossible to reach your destination. To defeat them and get to your weapon in time you'll need to periodically clear away your foes by playing a Missile Command-esque game within the game. 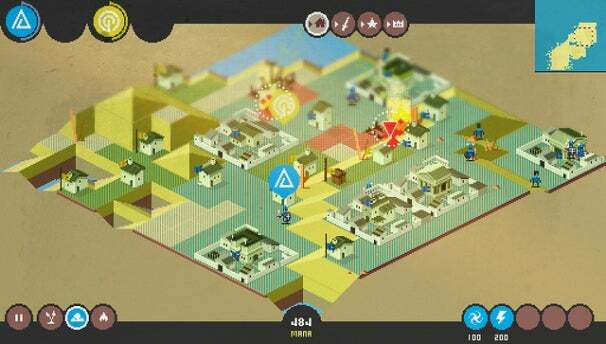 Finally this week we have Reprisal, a God Game inspired by Peter Molyneux's famous Populous. Reprisal was developed by graphic designer Jon Caplin during his copious free time recovering from a broken jaw, and all that time really shows in the final product (which is one of the most beautiful free games I've ever seen online). The game's graphics and soundtrack are both top-notch, and the game itself is pretty fun too; playing it all online for free is a real treat, so give it a shot over the holiday weekend. Enjoy!